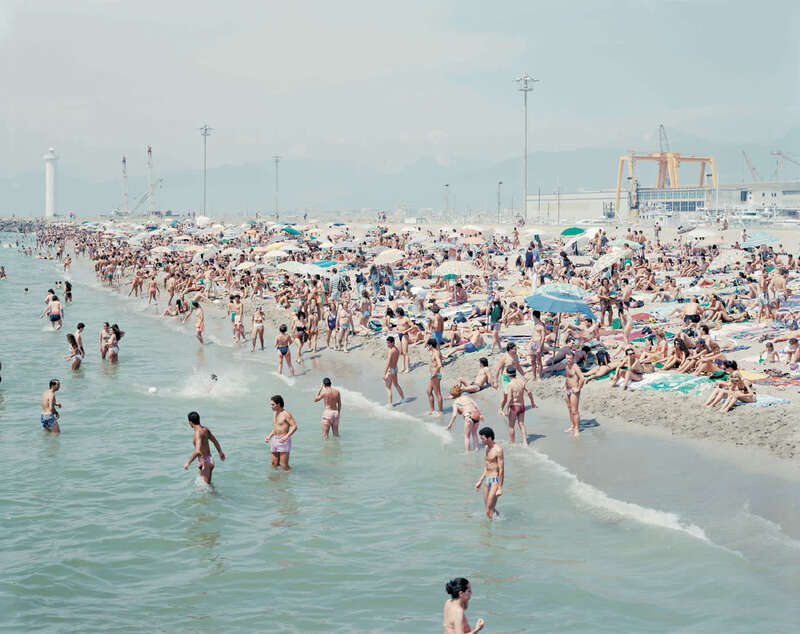 Jackson Fine Art is pleased to present the acclaimed Italian photographer Massimo Vitali's first solo show at the gallery. 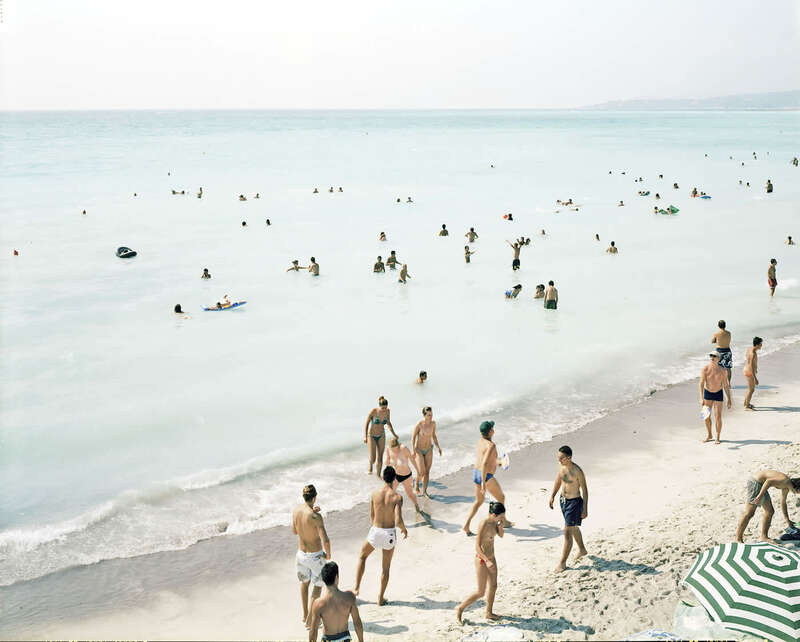 Like Kuhns interest in a “lifestyle at the beach”, Massimo large-scale photographs of people at leisure exude the simultaneous feelings of warmth and refreshment one experiences when jumping into the ocean on a sweltering afternoon. 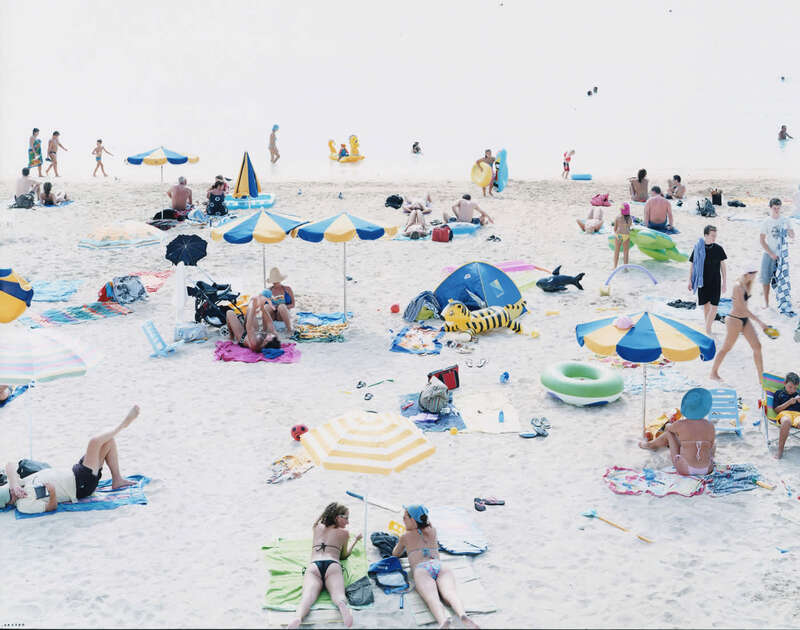 Their lucid imagery, airy and watery palette are indeed what make these photographs breathtaking, but amongst these crowds of people covering these sandy shores lies a subtle but profound understanding of human interaction-between intimates, crowds, and environment. The family on the beach is surrounded by other small assemblies of people. These small clusters, seemingly infinite in some photographs, combine together to form enormous and diverse crowds, their destination the only commonality they share. Each person has his own impact on the beach, leaving imprints in the sand, interrupting the current in the ocean. The beach changes its visitors in small ways too, leaving saltwater in hair and sunshine on skin. Each relationship and interaction, authentically captured by Vitali's unnoticed camera, is individually unaware of its contribution to the whole. Vitali, however, invites his viewers to bear witness to their summation.